Jazmyne, a 6 month old Chihuahua during the Clear the Shelter 2018 event at Palm Valley Animal Center on Saturday, August,18, 2018, in Edinburg. EDINBURG — After more than two weeks of negotiations, the Edinburg City Council voted Tuesday to renew their contract with Palm Valley Animal Center. The decision comes after Edinburg chose not to immediately renew their annual contract with PVAC after it expired on Oct. 1. PVAC, which has its two centers located in Edinburg, raised its per-animal rate from $20-25 to $80-90. The rate increase came after the city sent twice as many animals to the center as the previous year, resulting in triple what Edinburg paid last year — about $500,000 to be precise. The new contract is for $350,000 with a cap of 4,500 animals for the year. Any additional animals will cost the city $80 each. PVAC is no longer taking in wildlife from Edinburg, such as opossums, raccoons and garden snakes. Edinburg Animal Control will receive training on how to return pets to their owners when possible, which will ultimately save the city money. Additionally, Edinburg agreed to give PVAC access to 15 dog kennels at their animal control facility, which will be used for temporary housing for animals being transported northbound. Rebeca Villanueva, director of development at PVAC, said since the shelter began charging municipalities based on the amount of animals they bring in, they’ve been able to have a more candid conversation about reducing the overall number of stray animals in the region. Though all cities saw an increase in fees from PVAC, not all of them saw as drastic of a change as Edinburg did. McAllen, for example, is paying a little more than $1 million this year, compared to $838,656 they paid last year. However, Edinburg also isn’t the only city that questioned the fee increase. Initially, nine out of the 14 municipal partners PVAC contracted with last year chose not to renew on Oct 1. Since then, two more cities have chosen to return to PVAC, while others have partnered with municipalities such as the city of Weslaco, which charges $40 per animal at its shelter. Weslaco, however, has a smaller operation than PVAC, yet serves about seven cities. Edinburg went a week using their own animal control facility before choosing to extend their original contract with PVAC while they negotiated a new rate. Edinburg expressed interest in contracting with Weslaco, but the Mid-Valley facility didn’t have adequate space to accommodate the city’s numbers, according to a Weslaco health official, Joe Pedraza. 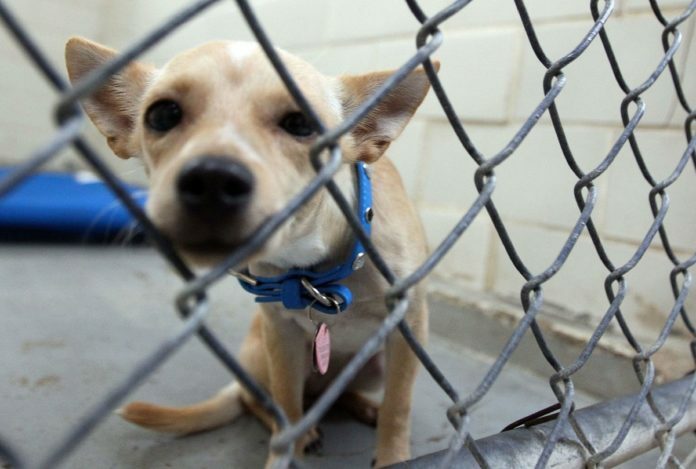 From Oct. 1 to Oct. 10, Edinburg took in 116 dogs and cats. Of those, 57 were euthanized, five were returned to owners, 17 transferred to PVAC, 13 went to a rescue, six escaped and four were dead on arrival. They also caught 87 opossums. Edinburg Police Chief David White said the department would continue conversations with PVAC on potential costs and life-saving initiatives. Edinburg is also involved in talks, led by Hidalgo County, exploring regional spay and neutering programs, educational projects and the feasibility of the shared shelter.